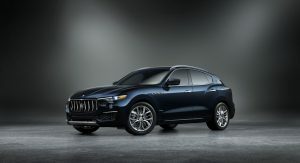 Maserati North America has introduced the new Edizione Nobile package for Levante, Ghibli and Quattroporte. 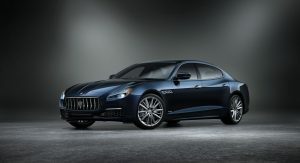 Available exclusively on GranLusso variants, the limited edition package brings a host of styling changes to the models. 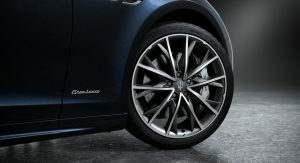 Starting on the outside, the vehicles have a shimmering Blu Nobile tri-coat exterior which is contrasted by stylish 20-inch alloy wheels. 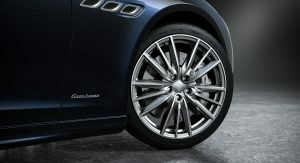 The latter cover silver brake calipers and they help to give the models a restrained and upscale appearance. 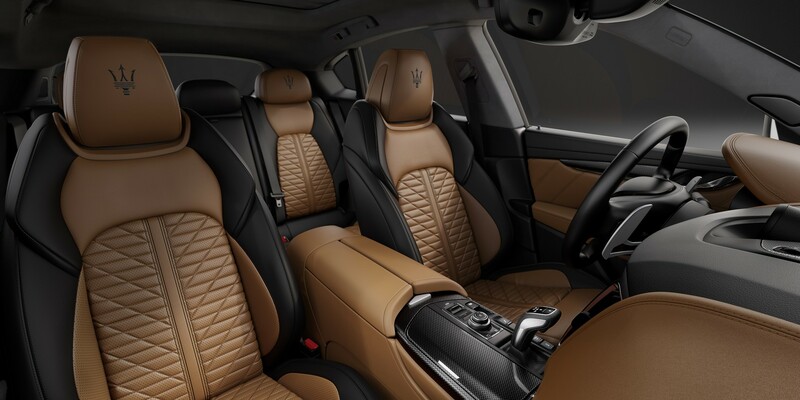 Bigger changes occur in the cabin as the package adds sport seats which are normally reserved for GranSport variants. 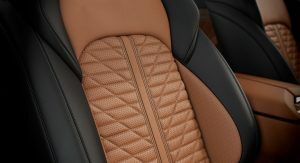 They are covered in two-tone Pieno Fiore natural leather and feature heating / ventilation up front and heating in the rear. 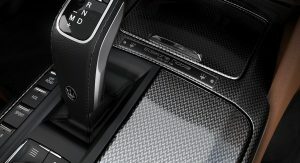 All three models come standard with the Level II Autonomy Driver Assistance Package. 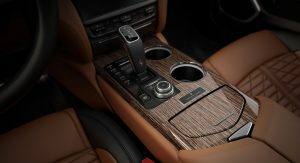 It adds a number of driver assistance features including adaptive cruise control with stop and go, active blind spot assist and lane keeping assist. 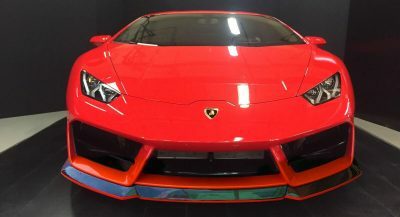 The package also includes forward collision warning plus, highway assist, a 360° surround view camera, traffic sign recognition and pedestrian recognition. 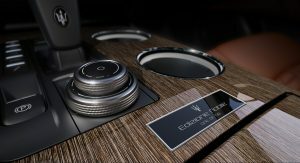 The Edizione Nobile package will be available later this month and only 150 units will be offered in North America. 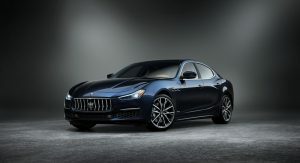 This number will be spread evenly across the three models, so there will be 50 units of the Levante, Ghibli and Quattroporte. 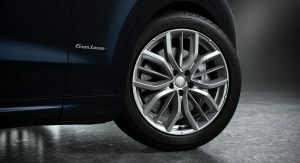 All their wheel designs are some sort of a trident. Actually really surprised Maser has made it this far. 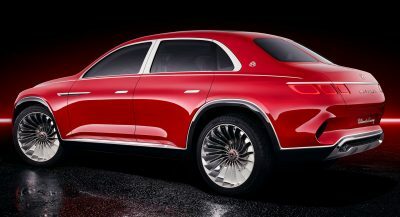 I for one would’ve brought Lancia back to full glory, not Maser. They were selling 3-4k units/year before 2014, not they’re selling 50-60k/year. I’m not talking about profits. I feel Maser’s glory days was in the 60’s (just personal opinion here) and they never really made anything really compelling since then, with maybe the exception of the mid 2000’s QP GTS. For me, their products has just always been plagued with build quality inconsistencies and questionable design languages. 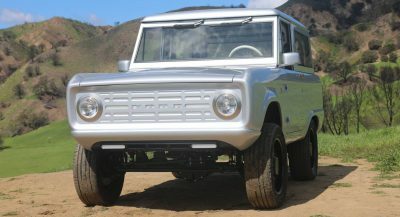 It will only appeal to current owners of any of the three cars getting the upgrade.